I have treated patients with cosmetic injectables throughout the course of my career and over the years have mastered what I like to call the “art of injection.” Injectables are not a one-size-fits-all solution. Rather, they require a deep understanding of both anatomy and proportions of the face and neck. Through training, research and hands-on experience, I have gained the knowledge necessary to deliver noticeable, natural results for my patients. Every person who walks through our doors can be assured that they are receiving the best care possible by my team and me. While I may take the time to understand each patient’s concerns, the same cannot be said of all other injectors. We have had heard time and time again from patients about other practitioners who took all of five minutes to evaluate a person’s concerns before filling them up with injectables. I firmly believe it takes a trained hand and knowledgeable individual to use injectables effectively, so I want to take the time to share my philosophy on filler and how Seiler Skin truly stands apart from other practices. Filler is one of the major types of injectables used in the aesthetic industry. 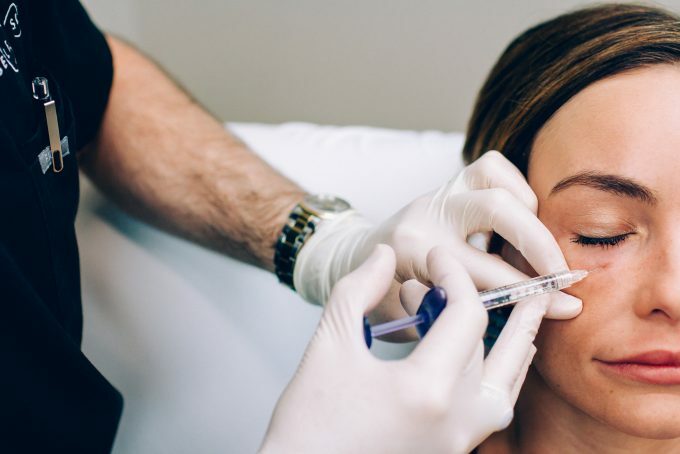 People commonly switch around filler and Botox since they both treat skin concerns such as fine lines and wrinkles, but each injectable works in an entirely different way. Filler addresses “static” issues caused by age-related volume loss by filling affected areas of the body while Botox treats “dynamic” lines and wrinkles caused by muscle movement creasing and flexing the skin. Filler is used to restore volume in areas of the face such as the lips, under eyes and cheeks, and can also address the hands when paired with PRP. During our one-on-one consultation, I use a three-step approach to develop the best course of action: identify a patient’s concerns, determine the cause and build out a customized treatment plan. The first thing I do during the consultation process is identify a patient’s concerns. Many people come into our office with an idea of what treatments they need, but more often than not our final recommendation is very different! Filler is highly effective at treating minimal to medium levels of volume loss in the face to achieve a healthier, more youthful appearance. However, filler can help someone look five to 10 years younger – not 40. My goal is to identify and address someone’s concerns, not try to sell them on every product and service we offer. I work with patients to determine if filler is the correct treatment option for them or if another service such as laser treatment would achieve better. If surgery truly is the best option for a patient I will make that recommendation and even refer them to a trusted expert. Second, I determine the root cause of a patient’s skin concerns. Many injectors treat fine lines and wrinkles by pumping the area full of filler, when in fact this is only putting a bandage over the problem. Treatment plans that target only the area of concern are largely ineffective and leave the patient with less than desired results. Filler is all about correcting the proportions of the face to ensure results are noticeable but still natural. I use my knowledge of facial anatomy aesthetic proportions to fully assess the problem and provide a true solution for my patient. The third and final stage of my consultation process is to build out a customized treatment plan. Patients’ most common concern is that filler will be either too noticeable or make no impact at all. I fully assess the face to determine the appropriate amount of filler that is needed – no more, no less. It’s important for patients to trust the recommendation I provide them and understand that the right amount of injectable is needed to truly see results. Filler is not like a nose job or facelift where someone can digitally see what the before and after will look like. I conduct an exercise with my patients in which I have them lift their face with their finger/hand in front of a mirror to show me the improved look they want. We then sit in front of the mirror as I explain how filler can target the noted areas and establish realistic expectations for results. Through a conservative, thoughtful approach, I build out a tailored treatment plan that will give a patient the results they are looking for. I cannot stress how important it is to seek a practitioner who fully understands filler. From knowing the various types of filler to having a firm grasp on facial anatomy and aesthetic proportions, an injector should know that a one-size-fits-all solution is no solution at all. I pride myself on taking up to an hour with every patient to determine how my team and I can best help them achieve their skin goals. There is no reason to be afraid of filler and I can guarantee that at Seiler Skin you will provide you with safe, effective and natural-looking results! If you are interested in learning more about filler and if it’s the right treatment for you, book an appointment with us today or call 205.870.0204.